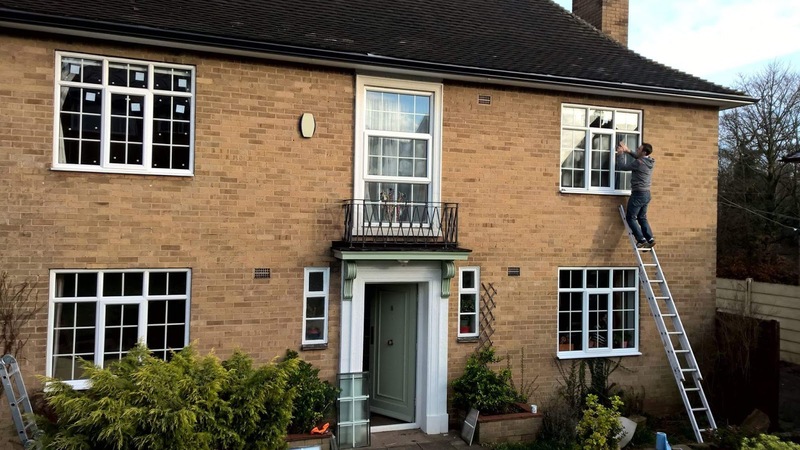 WE TRANSFORMED THIS LOVELY HOUSE BY REMOVING THE OLD BLOWN PLAIN GLAZING UNITS AND RETRO FITTING GEORGIAN BARRED STYLE GLAZING PANELS AND THE END RESULTS LOOK WONDERFUL! YOUR FAILED DOUBLE GLAZING WINDOW GLASS PANES WILL BE DISPOSED OF IN A SAFE MANNER FOR RECYCLING. WE SIMPLY SELL AND FIT THE GLASS/GLAZING UNITS! WE ARE A SMALL HONEST FAMILY BUSINESS SIMPLY TRYING TO MAKE A LIVING NOT A FORTUNE! WE DON’T HAVE ANY PUSHY SALESPEOPLE! WE ARE OUR OWN RECEPTIONISTS! WE AIM TO KEEP OUR OVERHEAD COSTS AS LOW AS POSSIBLE…. WE AIM TO FIT REPLACEMENT GLAZING UNITS AT THE BEST POSSIBLE PRICE WITHIN THE INDUSTRY! OBSCURE GLASS PATTERN LIST BY LEADING GLASS MANUFACTURER PILKINGTON ALSO ALL STANDARD AND TOUGHENED GLASS, INCLUDING THE LATEST ENERGY EFFICIENT PLANITHERM RANGE SUPPLIED AND FITTED! NO SALES…NO GIMMICKS…BEST PRICES QUOTED FIRST TIME EVERY TIME! OUR ADVERTISING IS OF A MINIMUM…..OUR LEADS ARE GENERATED BY WORD-OF-MOUTH THROUGH RECOMMENDATIONS,THIS IS THE WAY WE LIKE IT…..WE UNDERSTAND THAT THOUSANDS OF POUNDS SPENT ON MORE FLASHY WEBSITES LOOK OF A PREMIUM….BUT THE END RESULTS OF HIGH MARKETING COSTS WOULD ONLY RESULT IN A MORE EXPENSIVE END COST TO OUR CUSTOMERS. 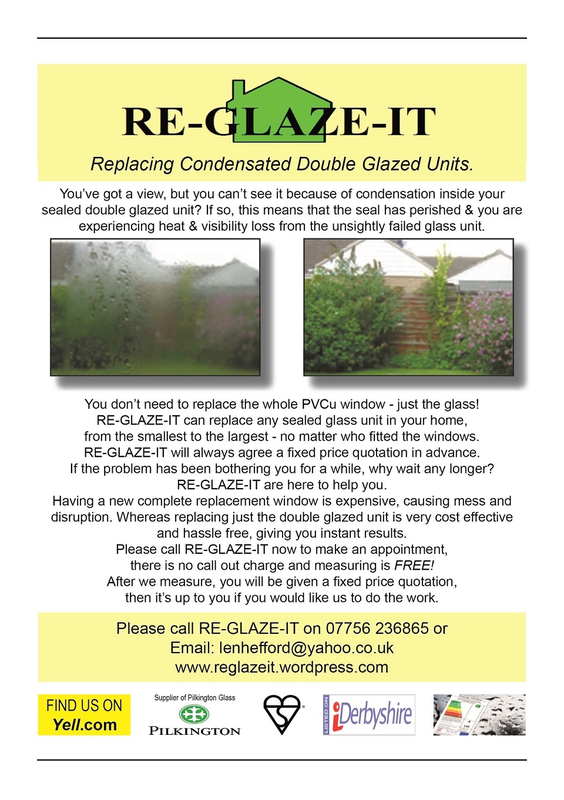 RE-GLAZE-IT DERBY IS A LOW COST GLASS DOUBLE GLAZED UNIT REPLACEMENT SERVICE AND THAT’S THE WAY WE CHOOSE TO STAY!! TO FIX MISTED , STEAMY , BROKEN OR SMASHED / SHATTERED DOUBLE GLAZING THE CLEAR ANSWER AND MOST COST EFFECTIVE WAY IS GLASS UNIT REPLACEMENT. ANOTHER REASON FOR DOUBLE GLAZING GLASS REPLACEMENT IS THE FACT FASHION CHANGES…..THIS IS TRUE IN EVERYTHING INCLUDING WINDOWS …THE GLASS LEADED STYLE PATTERN OF THE 1990s ….MAY NOT LOOK SO MODERN TODAY…..THE SIMPLE ANSWER IS THAT IF YOUR FRAMES ARE FINE AND JUST NEED A QUICK CLEAN ……THEN SIMPLY PUT MODERN GLAZING UNITS INTO THEM , YOU CAN CHOOSE STANDARD GLASS …TOUGHENED .. SQUARE LEADED OR EVEN GEORGIAN BAR DOUBLE GLAZED UNITS .. THE OPTIONS ARE ENDLESS …. BUT BELIEVE ME YOUR EXISTING WINDOWS CAN REALLY LOOK GREAT ! WE ALSO DO ALL PATIO / SLIDING DOOR GLASS INCLUDING FRENCH DOOR GLASS! PLANITHERM is Europe’s best selling range of high performance low-emissivity glass (low-E), incorporating the very latest advancements in thermally insulating glass coating technology. In the UK, PLANITHERM TOTAL+ is rapidly becoming recognised as the low-E glass of choice when it comes to achieving the best possible Window Energy Ratings. PLANITHERM products are specifically designed to keep interiors more comfortable in the winter months and improve the home’s energy efficiency. With their transparent metallic coating they are able to reflect heat from radiators or fires back into the room, rather than allowing it to escape through the windows. At the same time, the coating allows free heat and light from the sun to pass through the glass, warming the room and further contributing to the efficiency of the windows. 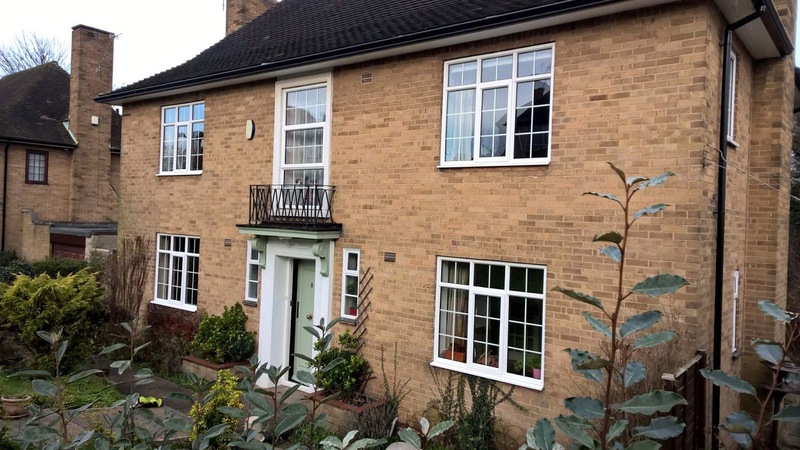 Double glazing incorporating PLANITHERM TOTAL+ insulates three times more than single glazed units and at least25% better than most currently installed double glazing. PLANITHERM products are the ideal low-E glass solution to meeting and exceeding the energy efficiency requirements of newly revised Building Regulations. Excellent and reliable service.My windows look great! 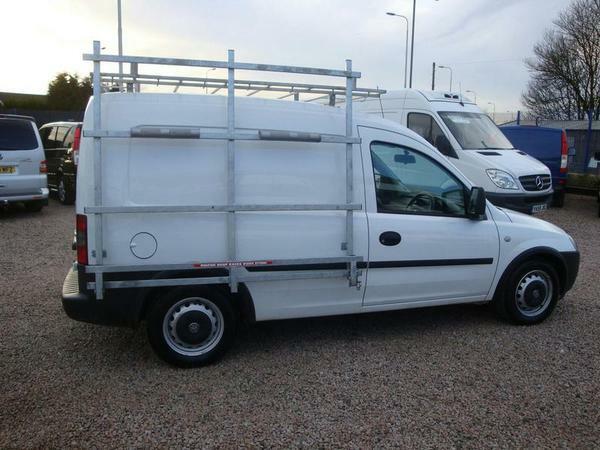 Great honest reliable service…..A welcome relief to find a tradesman that turns up on time,Does his work in a clean tidy manner and just gets the job done. We will be using re-glaze-it again! after my oldest lad putted a golf ball straight through our kitchen double glazed window glass. Len from re-glaze-it turned up and gave us a great quote! Len works clean&tidy and does a fantastic job. For glazing issues including window pane replacement, we would not go anywhere else! About 6wks before we called Len out from re-glaze-it,We spoke to a large window company who insisted we needed complete new windows,We simply could not afford it! we did some research and discovered the frames (UPVC) were fine. Thats when we found Len at re-glaze-it. Len removed and replaced a large blown toughened georgian barred double glazed unit and a broken obscured unit(Bathroom). He did a first class job we would recommend re-glaze-it in a instant! 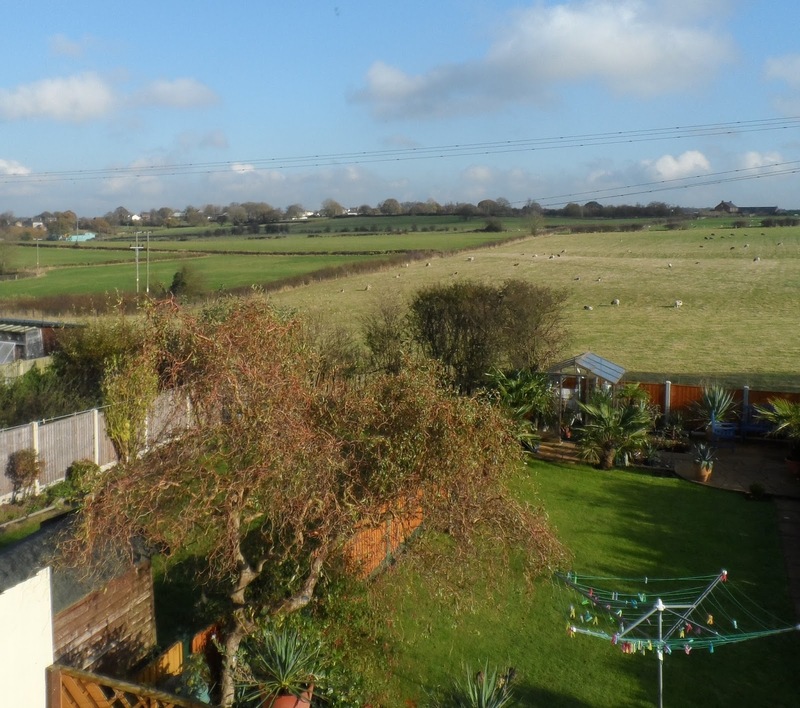 Len is really easy to deal with and was very polite and friendly. We wont go anywhere else. Q. Would it be possible to view Len’s workmanship and speak to one of his clients? A. No problem, My work can be showcased to you at real customers homes……In most parts of Derbyshire and Nottinghamshire. To arrange this, Please contact RE-GLAZE-IT by phone or Email. 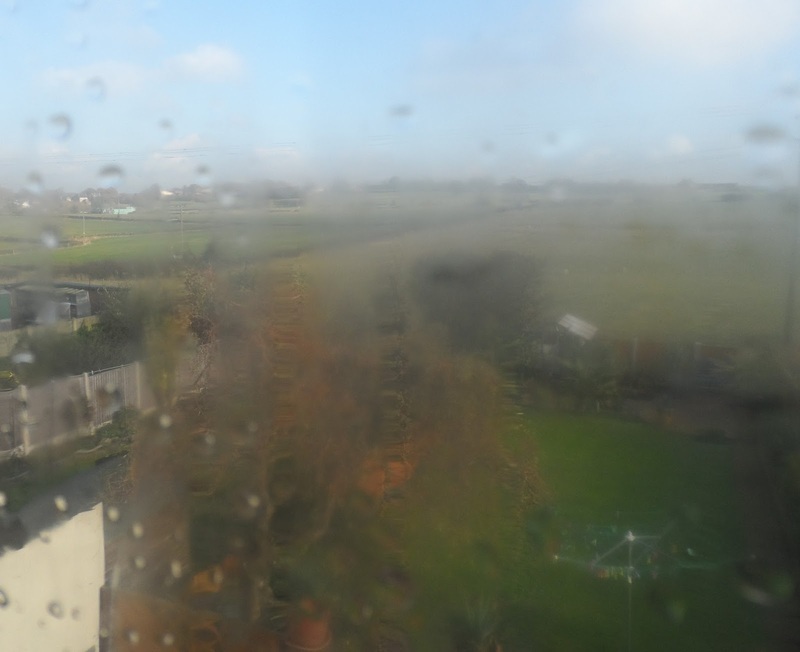 We are specialists in replacing failed,misted "BLOWN" or simply smashed glazing serving all of Derby and across the East Midlands. 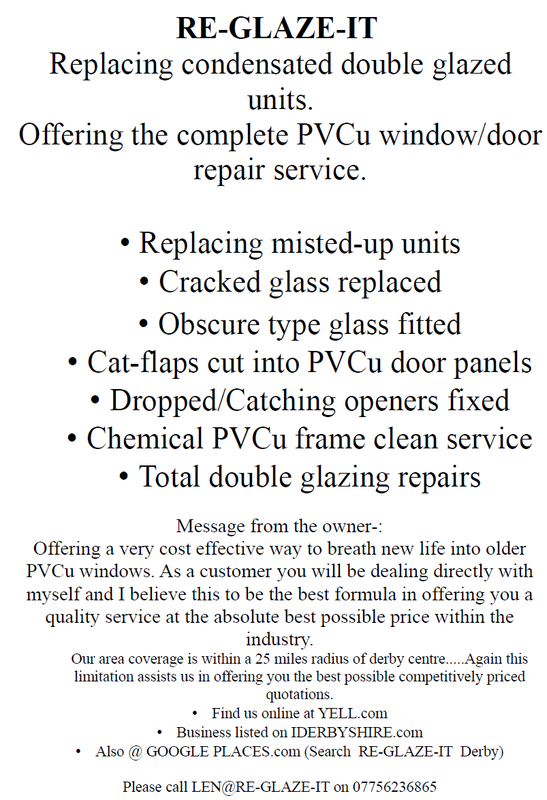 For help and general glazing advice including "misted window repair Derby" or "replacement double glazed units derby" please contact LEN@RE-GLAZE-IT on 07756236865 or Email: lenhefford@yahoo.co.uk We also specialise in "smashed patio / sliding door glass repair Derby" and have all the specialist bead removal tools to avoid unnecessary window frame damage.